Gather your colleagues, business partners and clients to take on a rowing challenge to raise awareness and funds for the charity in Northern Ireland. 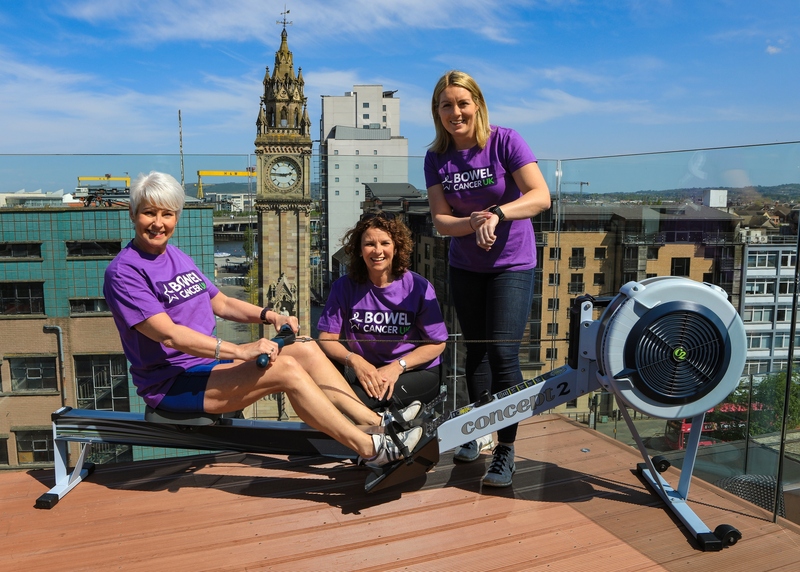 On Friday 16 June, businesses up and down the country are rowing 26.2miles (42.1km) in four hours to raise a collective total of £10,000 for the charity’s work in Northern Ireland. All you have to do is gather a team of ten people and row 2.5m (4km) in 15 mins on a rowing machine. You can do it in the gym or borrow a rowing machine (or two) from your local gym for the office. UTV presenter Pamela Ballantine is supporting the fundraising challenge, which is a joint collaboration with Novosco and Edwards&Co, who have supported the charity for many years. Bowel cancer is the third most common cancer in Northern Ireland, with 400 people dying each year of the disease and nearly 1,100 people diagnosed. However bowel cancer is treatable and curable especially if diagnosed early. Nearly everyone diagnosed at the earliest stage will survive bowel cancer but this drops significantly as the disease develops.